Not everyone is happy about Wyclef Jean running for president in Haiti. Wyclef’s own cousin (and former Fugees bandmate) Pras (real name: Prazakrel Michel) is following in actor Sean Penn’s footsteps in making his opposition of Jean running for president known. 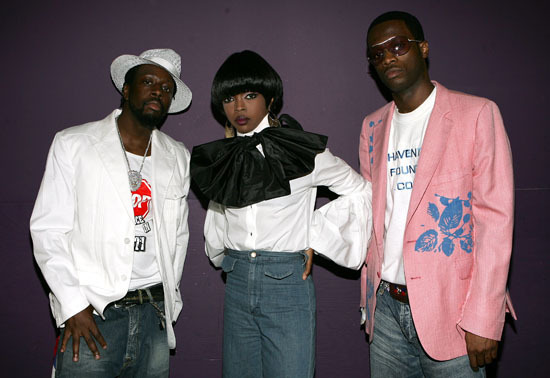 Pras says that although Jean is “like my brother,” he believes that the “911” singer is an opportunist for wanting to become president in their native Haiti. “I think he brought Haiti a lot of national spotlight and attention where people are concerned and really want to help out. But to be the President of Haiti, I don’t see it because I don’t see what his real plans are. His plans are so general. What do you think? Is Wyclef running for Haiti because he generally cares about his home country or is this all just a massive publicity stunt [slash] quest for power?